We’ve just updated the website with the speakers’ programme for this year’s fair. Check it out here. All the tables are booked! 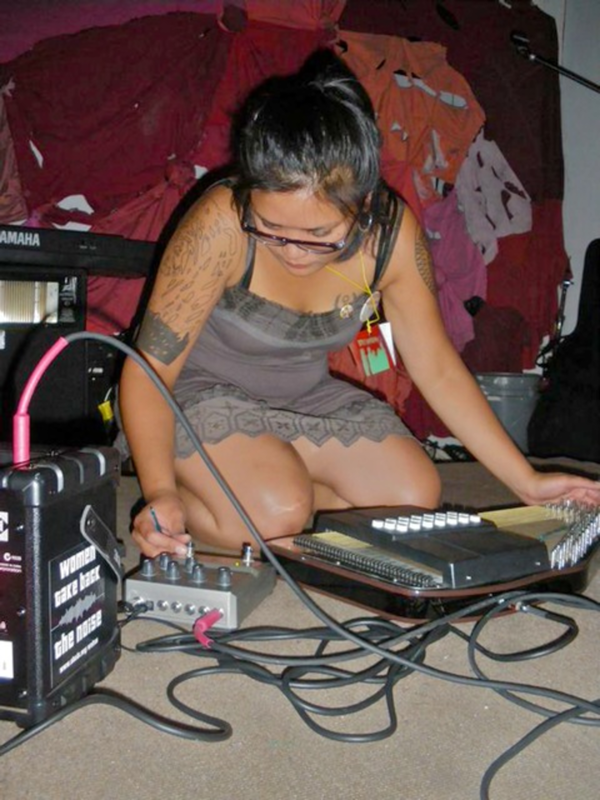 We have a great range of radical booksellers, publishers, zine makers, DIY and small press this year. We are currently updating the website with our list of stall holders and programme of talks. Keep an eye out as we will be adding exhibitors throughout the week, plus updating the food venues page with some great vegan places to eat. Save the date: 24th of June! Registration for the 2017 London Radical Bookfair will be opening in a few days. For the second year running, the bookfair will be held in the Great Hall at Goldsmiths University, in South East London. 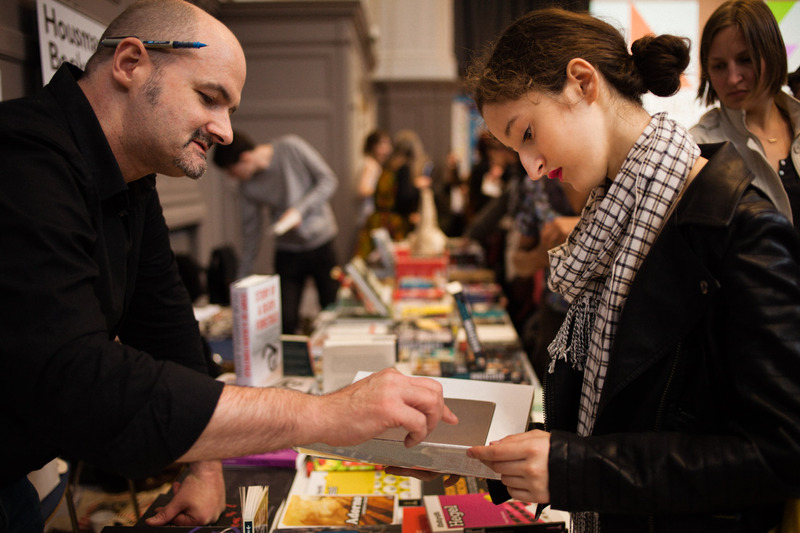 Apart from a wide range of radical booksellers, authors and publishers, there will also be stalls with comix and zine makers, artists and exhibitions, plus workshops and talks. 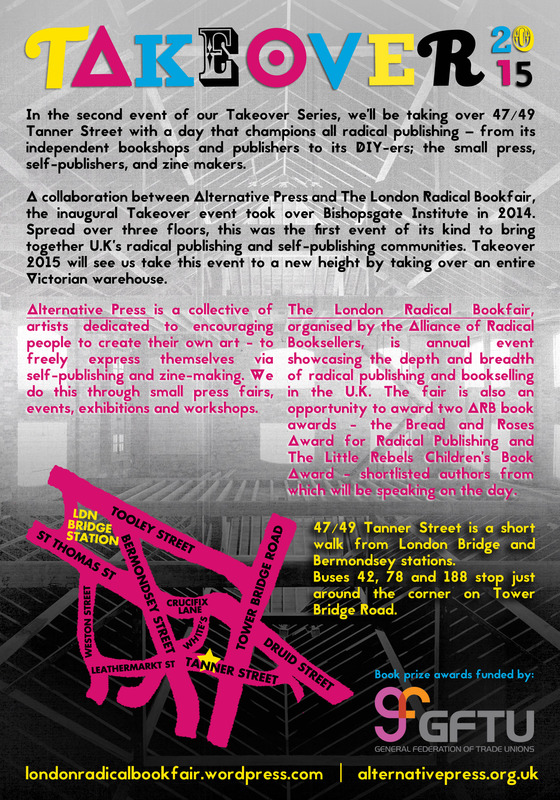 You can download the official 2017 London Radical Bookfair poster here for social media purposes. If you also need posters or flyers, let us know. 3. In solidarity with the Goldsmiths Cut The Rent students, currently engaged in a rent strike at Goldsmiths, as well as with those rent striking at other universities, there we will be a series of talks and workshops looking at different aspects of the housing struggle – hosted by Brick Lane Debates. 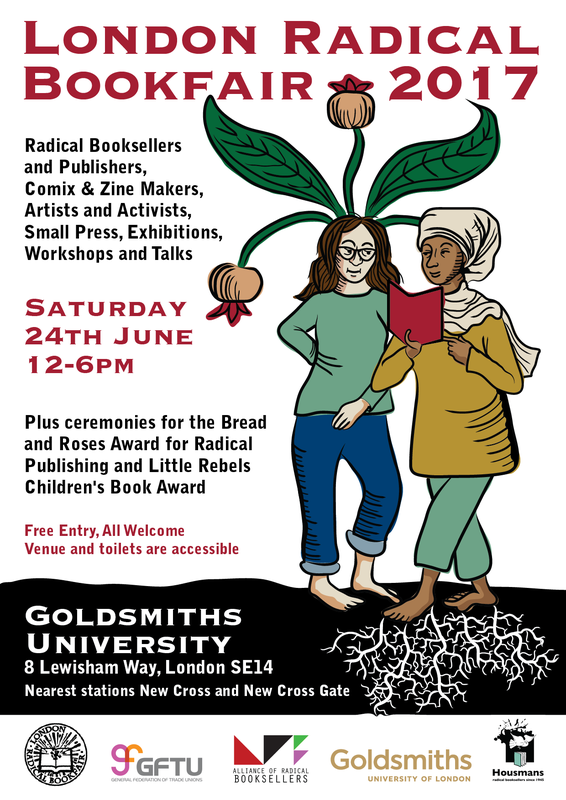 Delighted to announce that the London Radical Bookfair 2016 will be taking place on the 7th May at Goldsmith’s University. Please save the date. Check the tabs above for more information on everything that will be happening on the day. 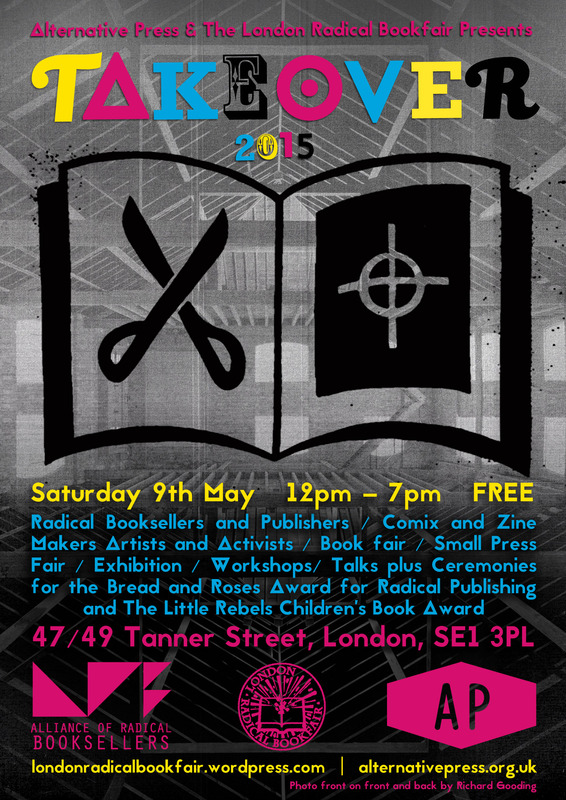 The London Radical Bookfair 2015 is on! After taking over Bishopsgate Institute last year the LRB, along with our partners at Alternative Press, are taking over 5 floors of a beautifully renovated Victorian warehouse at 47/49 Tanner Street near Tower Bridge. Its a beautiful venue, and the Takeover will be filling every available space with bookstalls, artwork, talks, workshops, food, music, and good people! Here are some picturesfrom the 2014 fair. It was a great event, with some 1,500 people visitng throughought the day. Thanks to everyoen who took part. As ever the fair finsihed with an award ceremony for our two bookprizes. We will defintiely be back at Bishopsgate in next year, so save the date: Saturday 9th May, 2015! 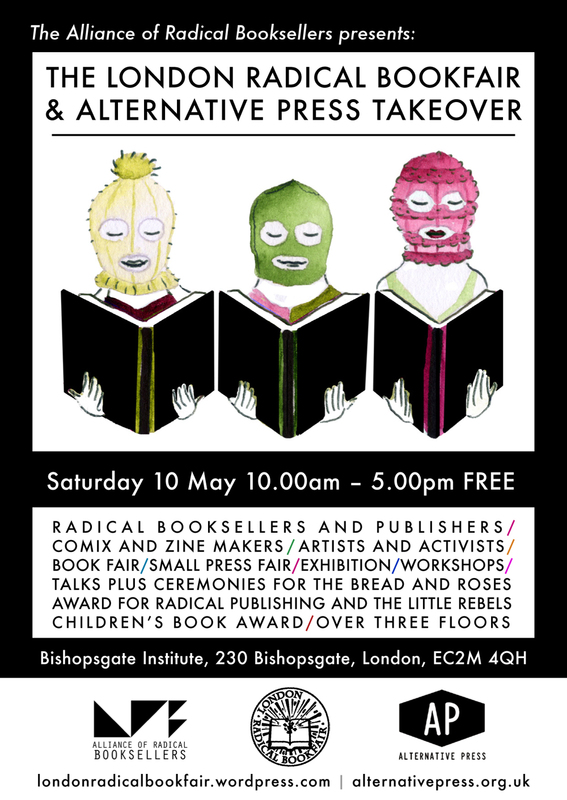 After last year’s successful inaugural event, the London Radical Bookfair returns bigger and better, this year teaming up with the Alternative Press gang to takeover all three floors of Bishopsgate Institute, opposite Liverpool Street station. 130 exhibitors, author events, book awards, workshops and more. 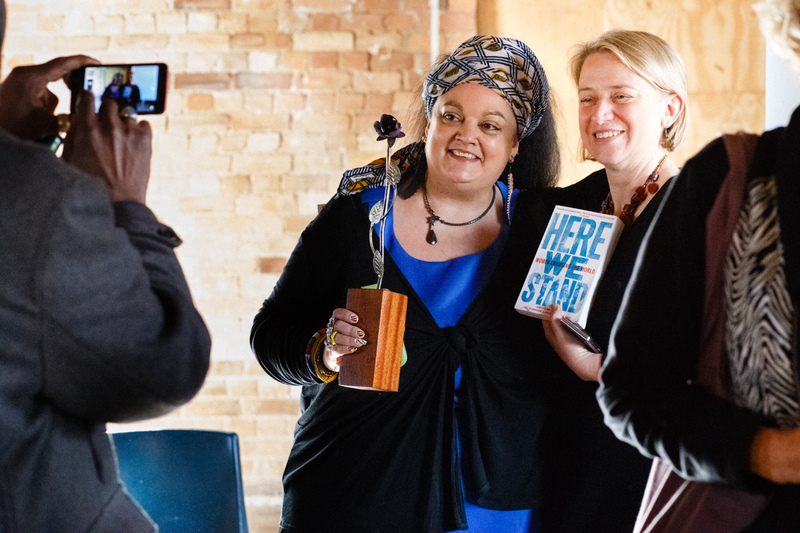 Have a look at the Guest Speakers & Stalls page for a breakdown on London Radical Bookfair-related speakers and exhibitors, and the Alternative Press site for details of their line-up.